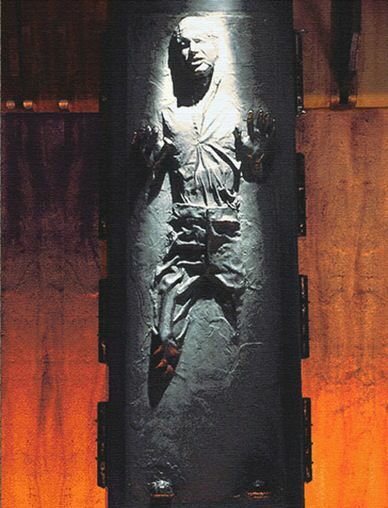 LT12P has been frozen in carbonite as of late. But don't worry, it's not dead. Not yet anyway! -- New episodes are coming this weekend, thanks to my personal hero Ryan Dassing! Since I haven't been able to record all month long, Ryan stepped up, did some interviews for the show, and I'm working on getting those into your earbuds shortly! Anyway, thanks for your patience. Please stay tuned! All Star Wars sounds, music, images, logos, designs, characters and elements are registered trademarks and copyright of Disney, Lucasfilm, their subsidiaries and respected rights holders, and used by The Less Than 12 Parsecs Podcast under fair use doctrine. All original content is copyright Tim McMahon and The Less Than 12 Parsecs Podcast, released under the No Derivative Works Creative Commons License. A proud member of the Star Wars Commonwealth Podcast Network. Utinni!